Welcome to Day #11 of Celebrating 12 Years of Chocolate Series, and Day #1 of Chocolate and Ice Cream Theme Week. 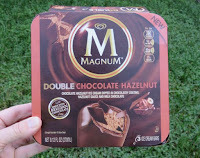 Continuing the chocolate and hazelnut ice cream thread started with yesterday's Turkish Choco Hazelnut ice cream, and in response to a last blast of hot summer weather, today's chocolate came fresh from the freezer: Magnum Double Chocolate Hazelnut ice cream bars from Unilever (Englewood Cliffs, NJ). 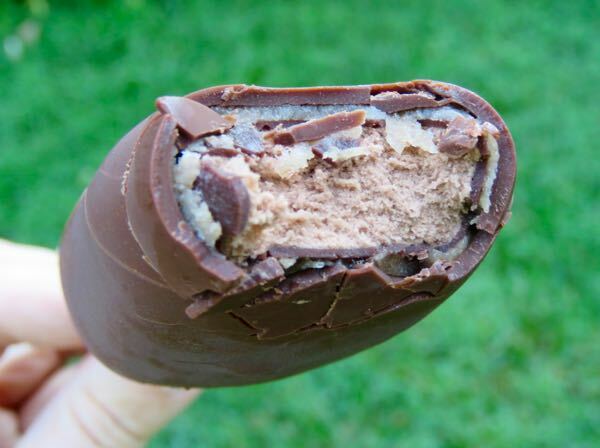 Each ice cream bar was composed of chocolate hazelnut ice cream dipped in a "chocolatey coating," hazelnut sauce and milk chocolate. Constructed with satisfying layers of cool, rich sweetness, ice cream and chocolate, the hazelnut flavor in this bar was very subtle. 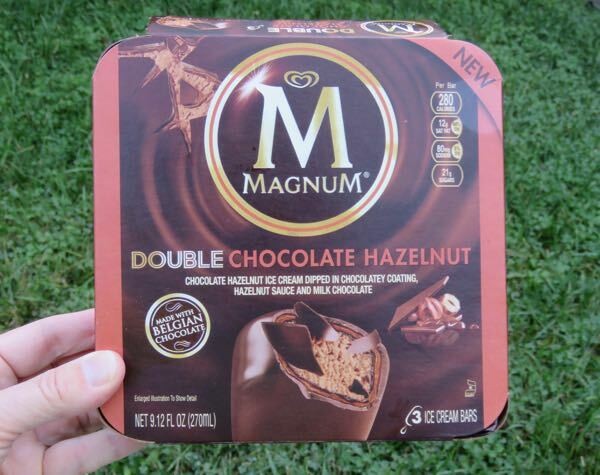 *"Magnum cocoa comes from Rainforest Alliance Certified farms." This bar was "made with Belgian chocolate."